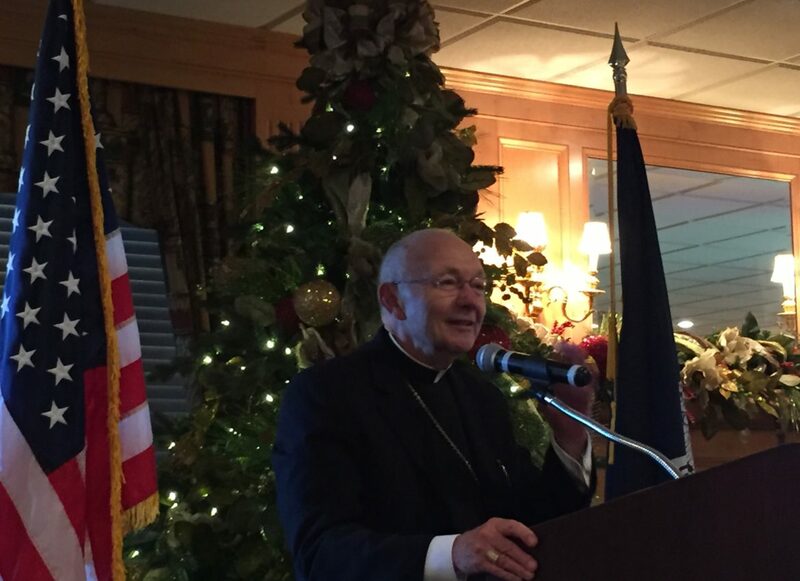 Kiwanis of Lafayette thanks Bishop J. Douglas Deshotel of the Diocese of Lafayette for speaking to us today. Bishop Deshotel is an Acadiana native, born in Basile, Louisiana. He attended seminary at Holy Trinity Seminary in Texas, where he earned a B.A. in Philosophy. He received a Masters of Divinity from the University of Dallas. He was first ordained to priesthood on May 13, 1978 by Bishop Maurice Schexnayder. He became an Auxiliary Bishop for the Diocese of Dallas on April 27, 2010 and became Lafayette's seventh Bishop on April 15, 2016. Bishop Deshotel spoke of his return to Acadiana and how special a place it is because of the warmth and kindness of its residents. He remarked at the resilience of the area especially in response to the historic floods of August 2016. The Bishop then remarked about the season of Advent as a season of preparation and how it fits in the liturgical year of the Catholic Church. The Bishop also commented about our own Operation Magi and how it reflects the spirit of the season. Finally, the Bishop reminded us all that today is the feast of St. Nicholas and wished us all a Happy St. Nicholas' Day. Thanks again to Bishop J. Douglas Deshotel for delivering his message to us for this Christmas season!